Now that the first round matches for men are done and dusted, it is, we believe, the right time to venture an educated guess about the contenders and possible spoilers vying for the title at the Australian Open 2019. Amongst the contenders, for the crown, are Novak Djokovic, Roger Federer, Rafael Nadal, Alexander Zverev, Kevin Anderson, and Marin Cilic. 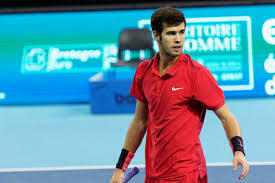 The spoiler brigade consists of Gael Monfils, Stan Wawrinka, Stefanos Tsitsipas, Karen Khachanov, Roberto Bautista Agut, Borna Coric, Kei Nishikori, David Goffin, Dominic Thiem, and Dennis Shapovalov. We do not expect any of the spoilers to win the title at Melbourne Park, but each one in the brigade is capable of bringing down any in the Contenders’ list. The spoilers have the game to beat the best but lack the consistency or the firepower to win the whole thing. Kei Nishikori, for example, barely survived his first round against Majchrzak, and was saved by the cramps which immobilized his opponent after the second. It’d be a little premature to place Stefanos Tsitsipas, Borna Coric, Karen Khachanov, and Dennis Shapovalov in the contenders’ list. All of them need a year or two to mature into slam winners. Wawrinka and Goffin are returning from injury lay-offs, and Thiem has yet to prove his credentials on a hard-court slam. What’s working for Novak Djokovic? Novak Djokovic won the last two slams of 2018, he is, therefore, the favorite to win the Australian Open. Novak’s grind until death style is tailor-made for the best of five formats. He has won the Australian Open title six times and is at home in the sweltering heat down-under. What stands between Novak Djokovic and the Australian Open title? Novak Djokovic has, however, not won any title since November last year and lost in straight to both Khachanov and Zverev last year. He even lost to Bautista Agut in 2019. The draw, moreover, could have been a little kinder to Novak. His second round against Tsonga is a trick one, and Tsonga has beaten Novak in the past. Shapovalov, one of the spoilers, awaits Novak in the third, followed by a possible meeting with either Goffin or Medvedev in the fourth could be tough and even riskier than playing Shapovalov. Either Nishikori or Fognini could prove troublesome in the quarterfinals, and a possible semi-final against Alexander Zverev could bring an end to the Australian Open journey for Novak. Is Roger Federer good for his third in three? Can Roger Federer win his third Australian Open since 2016? 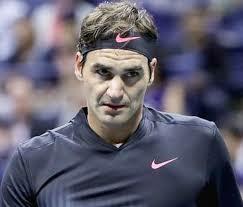 Roger has played well since the start of the season and looked good in the first round against Dennis Istomin. Roger could have his hands full against Gael Monfils in the third and Stefanos Tsitsipas in fourth. Roger barely managed to beat Stefanos in tie-breaks about two weeks ago. Marin Cilic could meet Federer for a blockbuster quarterfinal. Anderson or Nadal could be Roger’s possible opponent in the semis. Can Nadal win a second Australian Open? Nadal claims to have made changes to his serve and game. 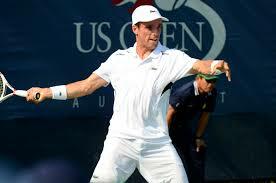 He is serving harder and standing closer to the baseline. He had ankle surgery last year and an injury-scare at the start of this season. 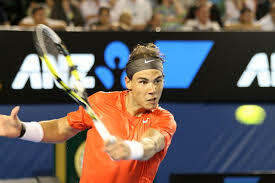 Nadal has an easy sailing until the fourth where he could meet Tomas Berdych who has beaten Nadal before and may relish his chances on the faster courts at the Australian Open. 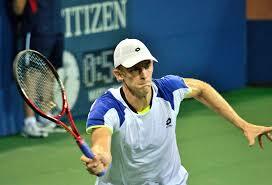 We expect Kevin Anderson to await Rafa in the quarters and, if Rafa passes that hurdle, Roger in the semis. A Roger versus Rafa semi-final would be the match of the tournament and another chance for Roger to improve his record against Rafael Nadal. 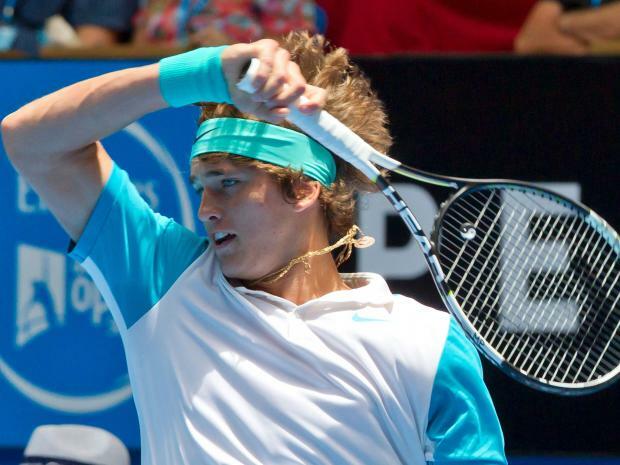 Is Alexander Zverev ready to claim his first slam? On paper, Alexander Zverev seems ready to claim his first slam, but it wouldn’t be easy with a possible encounter with Thiem in the quarter, Novak in the semis, and probably Roger, or Kevin Anderson in the final. Zverev, however, will take Novak Djokovic down if he manages to reach the semis. Marin Cilic and Kevin Anderson. Both Marin Cilic and Kevin Anderson have beaten Roger in a slam and can take him down here, if they reach that far, to make the finals. ← Will Kvitova, Wozniacki, Kerber, Stephens, Garcia, Sabalenka, and Vekic win their 2nd round matches at the Australian Open?